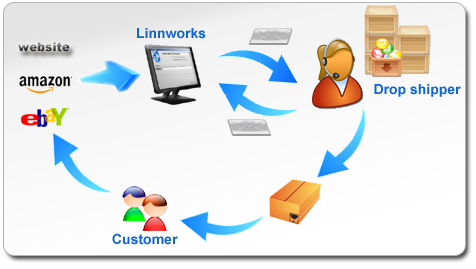 Linnworks has a unique functionality to allow you to send out eBay, Amazon and website orders fulfilled by drop shippers to the drop shipper automatically by email with CSV file attachment of all orders and products on the order. The system will generate a file with all currently on order products to be fulfilled by drop shipper in individual comma delimited files, one for every drop ship supplier and automatically email the supplier the file. 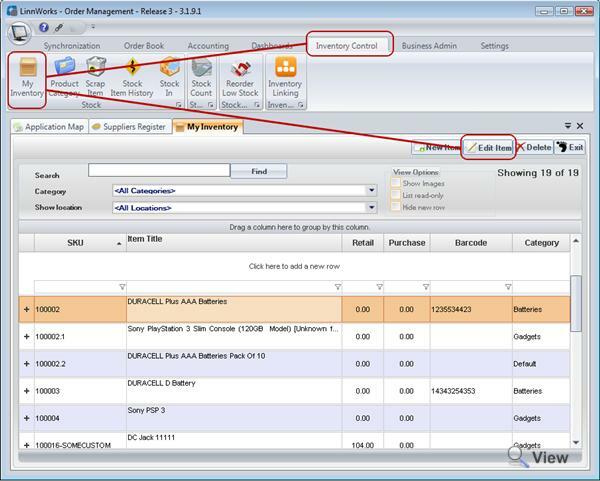 Once emailed you can automatically mark orders as processed on eBay, submit Amazon order fulfillment data, update website order status information or alternatively configure the system to wait for supplier (dropship supplier) to send shipment confirmation with all tracking numbers and couriers specified. The confirmation file will automatically be imported into the system updating order's postage tracking number and marking on selling channels as despatched (shipped). Customer buys on one of the selling channels (eBay, Amazon, Webstore or places an order directly with you). 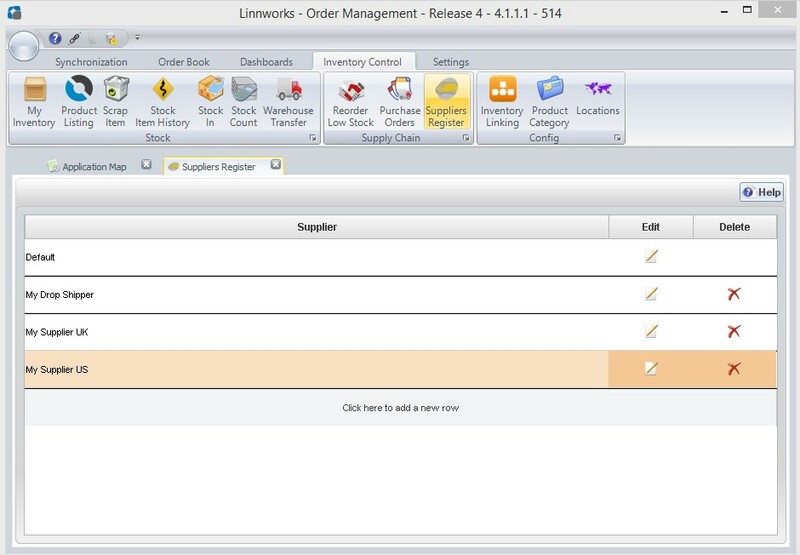 Linnworks automatically downloads order from the selling channel. Linnworks will compile a list of all sold products to be fulfilled by drop shipper and email the supplier the details of the customer and the number of products ordered. Linnworks will either confirm the shipping on the channel (mark as despatched on eBay, fulfill shipping details on Amazon, update website order status) or wait for the supplier to send a file back confirming all orders shipped and provide tracking numbers for all packages sent. If supplier sent a confirmation back to you Linnworks will import tracking numbers for all orders and email the customer dispatch notification with tracking numbers. Go to Settings > Email Notification. Set SMTP settings for sending out emails. Go to Inventory Control > Suppliers Register. Create new Supplier, specify as much information as possible for your own reference and most importantly add supplier email address. 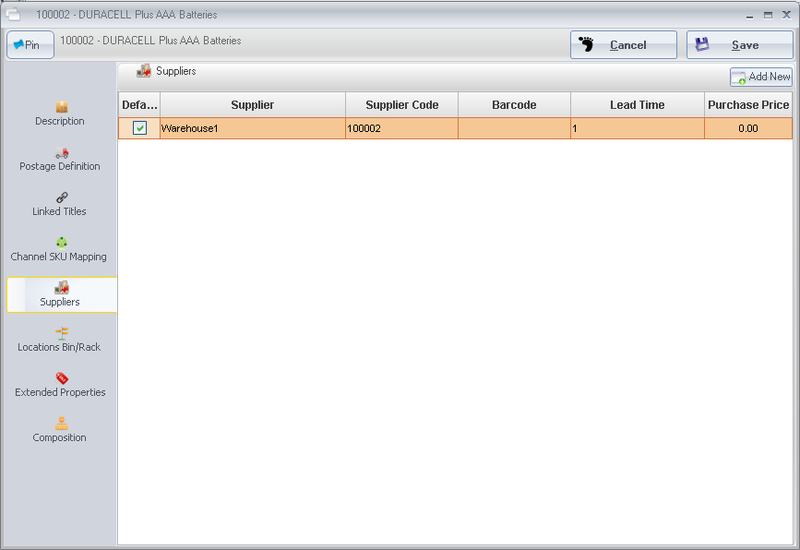 Open My Inventory screen, select an stock item to allocate to drop shipper, Click Edit Item. Go to Suppliers tab, Add supplier (to be drop shipper) to the list. Please note, for drop shippers add one supplier only. Go to Settings >Import / Export Automation > Drop Shipping. 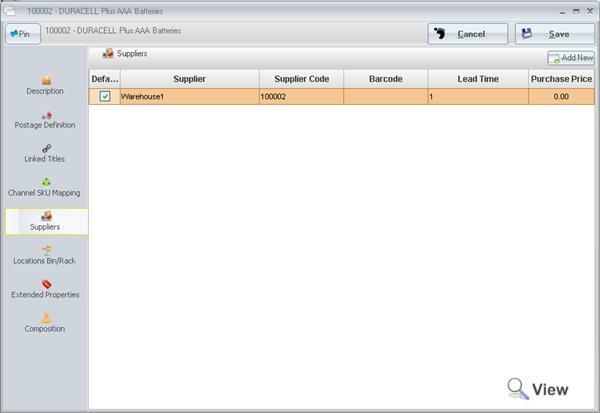 Click Add New, Add the supplier from the list into drop ship list. 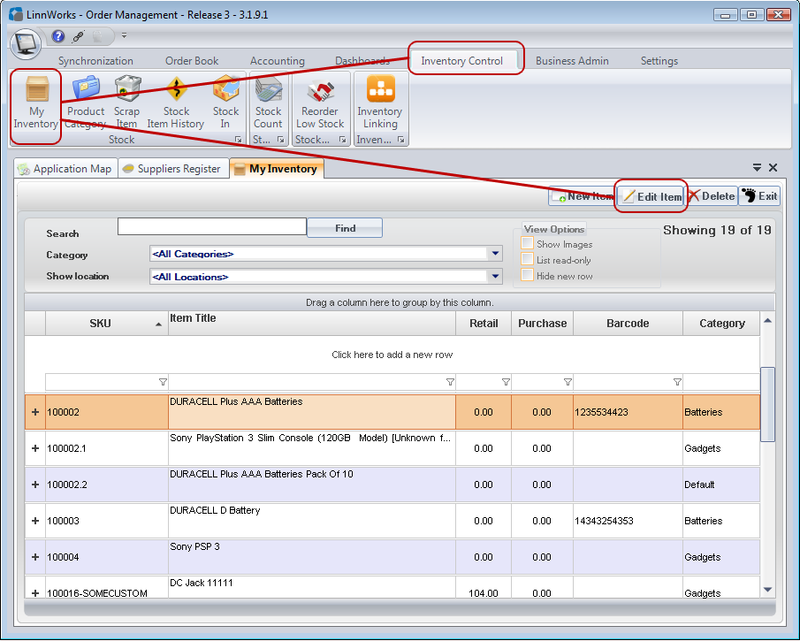 Double click on the supplier record in the grid to edit it. Send On Days Order will be sent to supplier on these days only. For example you can exclude weekends. Email Subject Subject of the email that will land in the drop shipper inbox. 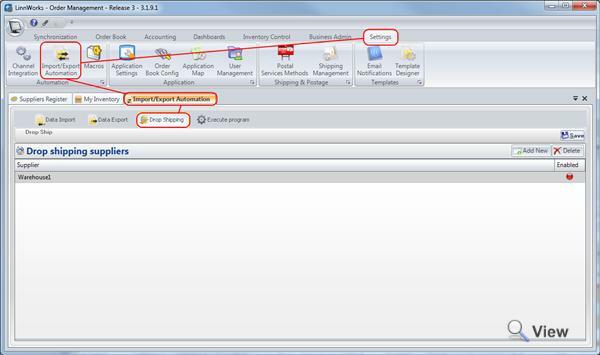 This setting allows you to define which columns will be produced in the CSV file that will be sent to the drop shipper. You can remove columns that are not needed or add some expression based values. If you deleted some columns which are needed and cannot remember the name of the column, delete the supplier from the drop ship list and add it again, the column mapping will be restored to default. You can click Produce file to preview the file that will be produced and make sure there are no errors in the column mapping settings. Please note that SupplierItemCode will output the Supplier Code for the item or, where none exists, the Linnworks ItemNumber. If you only want SupplierCode, please use the SupplierCode field. If you receive confirmation file back from the drop shipper with the postage tracking numbers you can configure the system to bring this file in whenever it is available. 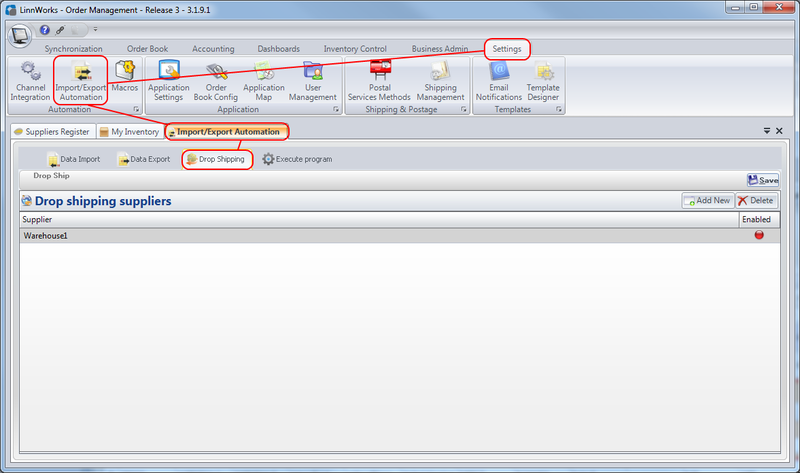 Specify the path to the file where it will be saved whenever you receive the file from drop shipper back. Normally drop shipper would fulfill the orders and send you to confirmation email back with CSV file attached which lists all order id that you have provided in the output file and tracking numbers (where available). Then you need to save this file from email to a location on the disk. You can also map out the file column names you receive from the drop shipper to the required column names (see Data Importing for more information about mapping column names). If you use this method, the orders will remain in the order book even after they have been sent to supplier and only be marked as processed once the supplier sends you the confirmation file back. If you do not wish to receive confirmation email from the drop shipper simply check the option Mark Orders As Dispatched Immediately After Sending to the Drop Shipper. In this case the system will process orders right after they have been sent to the drop shipper. What format does Linnworks output the order file for drop shipper? The file format is CSV (comma delimited file) which is readable and transferable to all systems, so your supplier won't have any trouble making sense of it. You have the ability to define the column names and the information that will go into the file being produced by mapping columns to data. What if a single order contains items that I fulfill myself and items fulfilled by drop ship supplier? In this case you will need to split the orders out. Linnworks macro can be written to split the order automatically if mixed suppliers are in the order. Do I need to have all stock items defined in Linnworks? Yes, all stock items must be defined in Linnworks and associated supplier must be recorded against each product fulfilled by drop shipper. For dropship fulfilled products you can only have one supplier specified. If you add two suppliers into the list and both are drop shippers the order email will be sent to both. What about stock levels of products fulfilled by drop shipper? 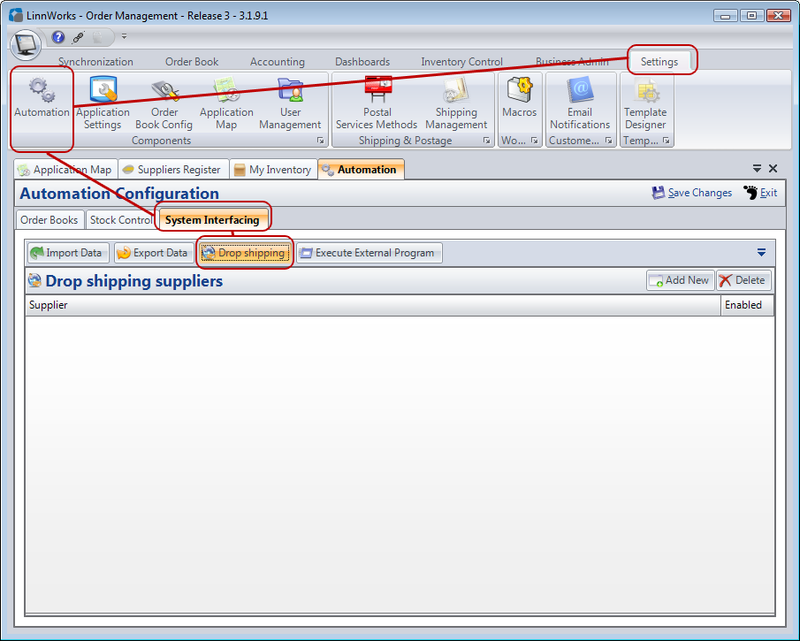 It is completely optional whether you maintain stock levels for drop ship stock in the system or not. If you do the stock levels will be propagated to all channels automatically, alternatively you can set all drop ship fulfilled stock items as Not Tracked and set the stock level as arbitrary number (i.e. 999). What if drop shipper does not send confirmation data back to me? 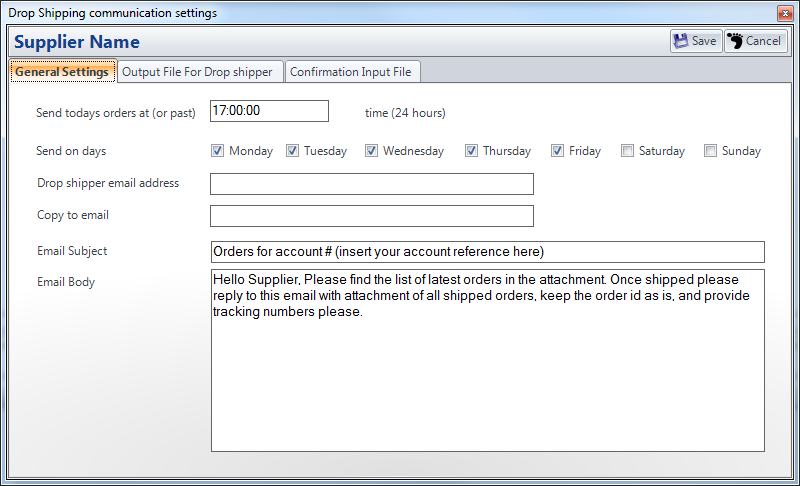 You can set the system to process the orders sent to the drop shipper automatically. In this case the postage tracking number will not be available and you have to assume the order has been fulfilled by default once the email has been sent to the drop shipper. Is there a chance of duplicating orders when sending to drop shipper? No. The system records the fact that the order has been sent to the drop shipper and will not send it again. How do I know whether my drop shipper accepts this method of working? Generally speaking drop shippers are flexible and will accommodate your process quite happily. Have a chat with your account manager to discuss the file format and possibility of having a confirmation file generated. 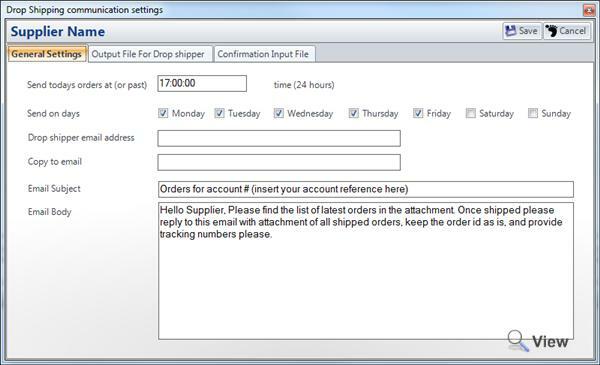 You can also mention to the drop shipper that Linnworks can manage their side of order management and produce confirmation files and email them to you automatically. What is the best way to test this functionality out? Set everything up as in the instructions below. Set up couple of test stock items in the system. Create test drop shipper (supplier and add it to the list of drop shippers as per instructions below). Make sure you have included today's day into days when the email should go out to drop shipper. Save the drop ship configuration. Every time you save the drop ship configuration the last time gets reset and email will be generated to drop shipper next time you synchronize. Synchronize. The email should be generated and emailed to you. If using confirmation file feed, produce confirmation email yourself using Excel or similar CSV editing software and res-ync again.